Last year me and Sophie booked our YALC tickets quite late on. We were waiting for the announcements and schedules to have been release before getting our day tickets for the Saturday. That meant that i only had about a month to read all the books i wanted to read. It’s safe to say i didn’t complete my eight strong TBR of last year before meeting some of the authors (oops sorry). I was not about to let that happen this year. I’ve had my ticket for a few weeks now and the first thing i did after booking was create my YALC 2017 TBR. All the books i want to get read before attending the event this year. There’s nothing like a literature convention to enforce you in to battling your unread books. This years total is around ten or eleven books that i wanted to get read in the two months before YALC. I had about ten weeks to get these eleven books read, and whereas that seems like a long time to some people, to little slow reader me that’s extremely intimidating. Some of the books i wanted to read are contemporary, some are made up of prose (thank you short read) and some are by VE Schwab that i know i’m going to get through in about four years. I tried to keep the topics as mixed as possible to keep me interesting and make sure that i don’t sway from the cause of this project. Doing It by Hannah Witton is high up on my ‘definitely want to have read this by the start of YALC’ pile, along with A Darker Shade of Magic by VE Schwab and Wing Jones by Katherine Webber. There are some books that i don’t think i’ll get finished, admittedly. The Graces by Laure Eve might have to take a back seat and Margot and Me as much as i’d love to get round to it, might just not happen. However so far i’ve managed to finish Release by Patrick Ness and We Come Apart by Sarah Crossan and Brian Conaghan without any issues. We’ll see how well this carries on in to the next few months. 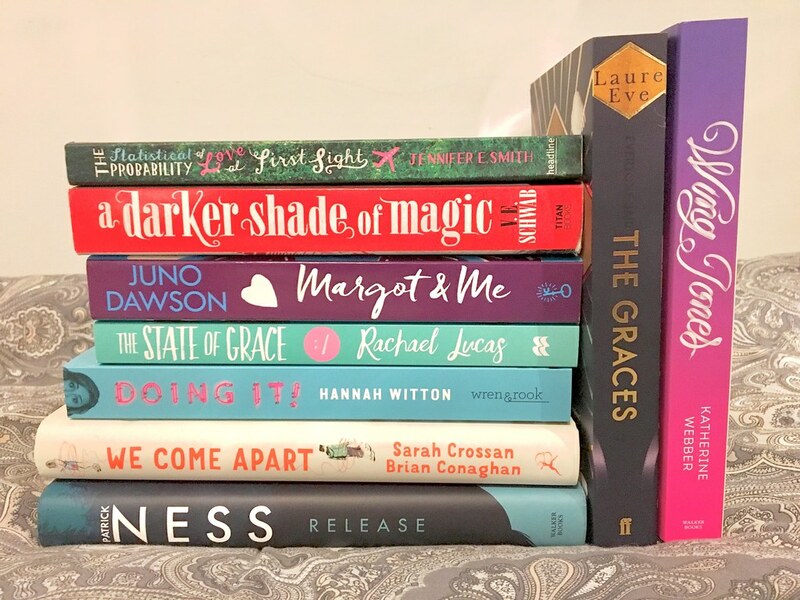 I know i never ever write TBR posts, i made a whole post about why i DON’T write TBR posts, this is more a project that i’m determined to do. No books will be read by me in the next few months that have nothing to do with YALC. Only YALC authors will pass through my eyes and i will only love and hate the characters written by YALC authors. The book stress is real.